It always surprises me how few people have heard of the German musician Ulrich Schnauss. He’s one of my favorite electronic producers but whenever I mention him (to people I consider to be knowledgeable about music) they usually just shrug and ask who he is. I saw him open for M83 in San Francisco a few years back, it was pretty intense, but he just sort of pounded away on a Siel synthesizer the whole time, no visuals or anything. Was cool to see it live, but the stage presence was a little disappointing; I guess I was expecting a singer or something (he always has those sort of ethereal vocals woven through his mixes). At any rate, I’d have to say that A Strangely Isolated Place is his best album to date, and while it’s hard to pick a favorite track from such a solid release, this song certainly ranks up there. Breathe Me – Ulri.. Schnauss+BlackComm.. Ulrich Schnauss x Tycho.. I love Ulrich because of his ability to feel TOTALLY intimate. I can throw him into a mix with Ride and Slowdive and he fits in just as much as a mix with Boards of C and Isan. ahhh . . . .Ulrich – good call. Really? I describe Tycho to people as Ulrich Schnauss with some Boards of Canada. I was always kind of surprised when I saw others only comparing you to BoC when you sound a bit more like Ulrich, in my opinion. :) I love all three for varying reasons. Isolated Place and Far Away Trains, both great albums. My favorite track (which I agree is hard to pick) is “Monday Paracetamol”, the first song I ever heard by him on Pandora radio. It’s so refreshing and poignant. 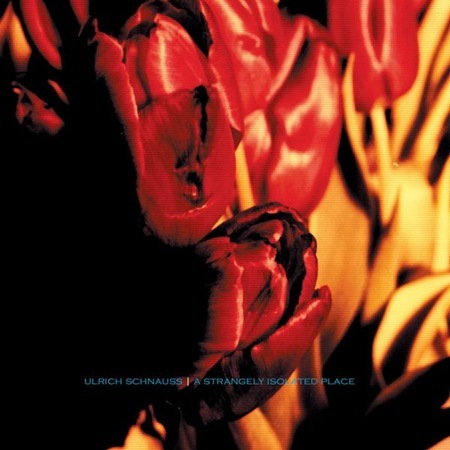 I never stop going back to Ulrich Schnauss, his music is beautiful. I saw him on the same tour and was blown away. When he came to Portland a couple months back I could not resist, this time around he projectors all over the space with a great ambient video presentation. He never disappoints! I dig Molfsee by Mr. Schnauss. On a completely different musical element, I’m in love with a band called Papercuts. They def. have an old, analog tape, indie-esque classic, folk rock sound to them. If you get a chance, check out Dear Employee and John Brown by them. I agree completely that Ulrich is widely unkown, even to avid fans of electronic music, and it kind of makes me sad! I’ve loved his music for years. Oddly enough, my favorite track, “In Between the Years,” is a chance to see a completely different side (creatively) of Ulrich. Good stuff. Wow. I thoroughly enjoyed that. By the way, thanks. Love finding cool new stuff to listen too. Man, the intro / beginning to this song is so soothing. Love it. If you like Ulrich, then check out Nathan Fake, especially his track “The Sky Was Pink”. Stunning. Love Ulrich. Saw him at Cafe Du Nord with the sweet VISUALS – brings things up a notch. He’s in the car, bedroom, PC, Work PC, Cellphone etc! !